Making podcasts show up more prominently in Google Search results. Making podcast listening experience seamless across different devices and contexts – Google Assistant and Android being the main drivers here. Having better interpretation technology like translations, AI to text or scrubbing to more accurately return a user’s result from within a podcast segment. In the post, we summarize this five-part series and outline how to boost your podcast audience using audio SEO. When you currently search for a podcast on your Android app, you will typically see the different types of episodes to directly listen to along with the subscription options and native play buttons. In the first and second series of the interview, Zack goes on to say that much of the experience still looks very app-like and it’s hard to access Google Play, given that there’s no existing player supporting these podcasts on Android. 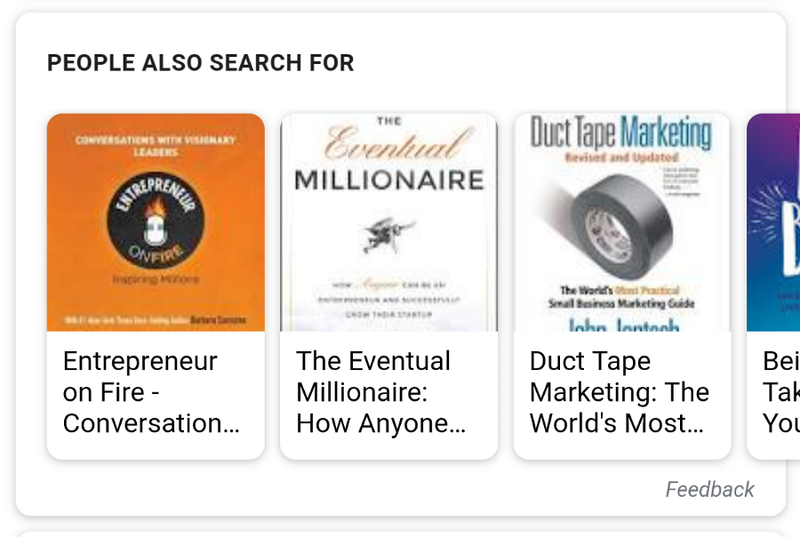 So, like articles, images, and videos, the first step towards having your podcasts appear in search is through optimizing your podcasts metadata and including structured data on the embedded page (beyond Android) for topics or people that your podcast covers. The same holds true for sports, movies, TV shows or virtually anything else. Beyond this, the third part of the series highlights that there is a recommendation system aspect (like YouTube) Google is offering using Google Assistant and the Google App Feed which can result in relying less on podcast networks for distribution. Special RSS and website page requirements are needed in order to increase the likelihood of algorithmically showing up. Once you think you are ahead of the curve, Zack then challenges you to look at other content formats that can be considered as a podcast because this will ultimately lead to better content compatibility. It’s obvious to state the fact that over optimizing or trying to game the system won’t give you an advantage in audio SEO. In the fourth part of the series, Google acknowledges that everyone listens to podcasts in different contexts such as network connectivity, user interface, device, location, and activity at that period of time. Google has been working on the tech side of making podcast listening seamlessly across different contexts (device interoperability) using two methods: 1) Google Assistant and Google Search, using voice command, to help personalize the recommendations based on listening history and personal interests. This can be a powerful tool in capturing audiences at the ‘right place at the right time’. Achieving the two is something that requires further development of the hardware and search infrastructure to encourage low barrier points of technological adoption. The fourth series article concludes by encouraging readers to develop their own content strategy, by creatively coming up with common scenarios a target audience user would take when consuming podcast contents. Given the variable differences between iPhone and Android users (and its untapped potential); Pacific Content recommends to also factor this as part of your podcast content strategy. After looking at what works today and is in progress, the series concludes with looking at what’s to come for evolving your podcast strategy. 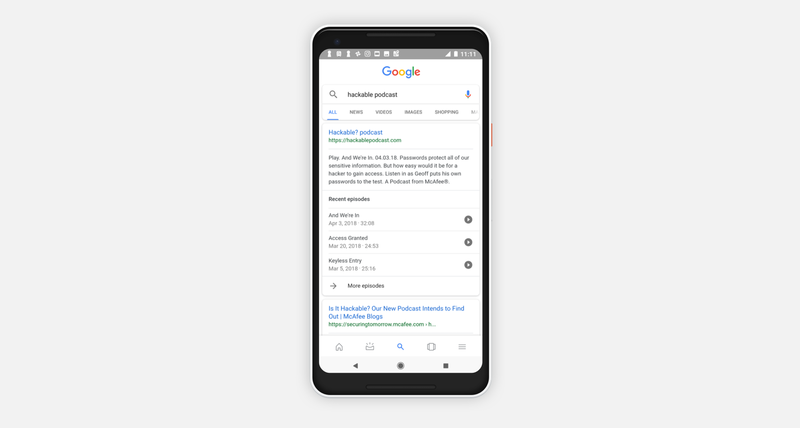 According to Google Podcasts Product Manager Zack Reneau-Wedeen, in the future, Google will have the ability to “transcribe the podcast and use that to understand more details about the podcast, including when they are discussing different topics in the episode”. Translating the podcast will include language translation using AI and direct hardware, and text scrubbing (or frame previews using AI to text technology to create transcriptions) just like how you see when scrolling forward on YouTube videos. Particularly with text scrubbing, it will provide publishers with the ability to further optimize their RSS feeds so that Google end users can use voice command to pick up and return to specific segments of a podcast showing up for their query. Speech recognition errors, the evolution of AI and complimentary production services to support Google surface hardware i.e. Google Assist are all long-term focus areas which Zack and his team are optimistically working on. The actualization of automating the translated podcasts and contextualized podcast searches is what he believes will help audio search reach its full potential and help reach his goal of doubling podcast audiences. What should podcasters ask themselves when developing their podcast strategy? Does my website follow Google’s official guidelines for podcasts? What will it mean for podcast producers to have their content appear in Google search results? Are smart speakers a growth opportunity for podcasters? Is your show easy to find with voice commands? How might Android users be different from iOS users? How are they similar? Given Android’s global and diverse market share, how can podcasters think more broadly and globally about their formats and content? We thank Pacific Content for their excellent coverage of this area and hope this will help you get ahead of the curve with your podcast audience development efforts. Have you already started working on your podcast SEO strategy? Do you have any plan to start? What are your thoughts on how it will evolve moving forward? Leave your comments below.